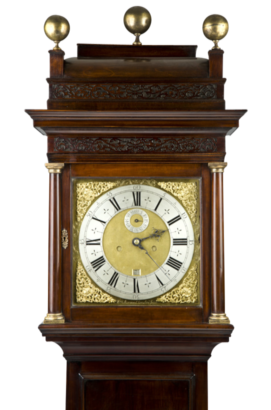 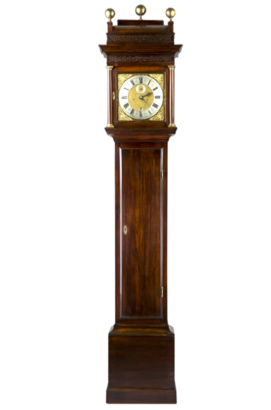 A very rare and important "Tompion related" Queen Anne Fruitwood longcase clock which is the only evidence to link one of the early makers with Tompions business. 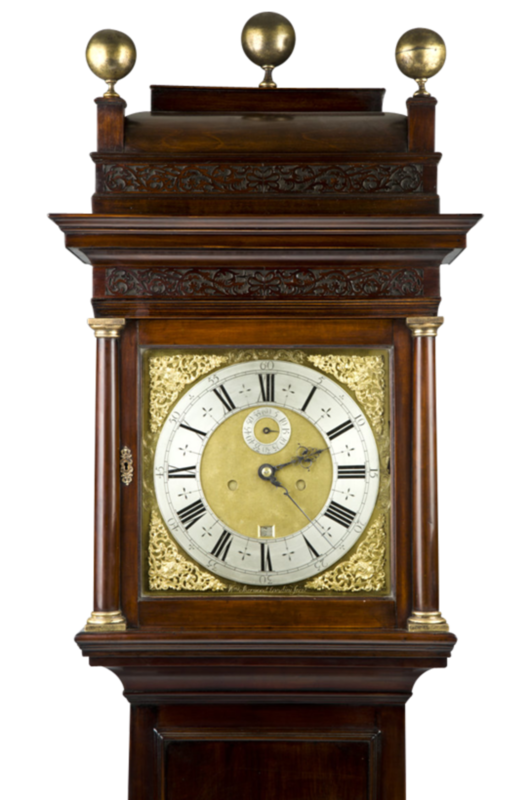 The case is quite clearly from Tompion's case maker, and the engraving, double screwed gilt spandrels, fine hands and 8 day movement, could have come from Tompion's workshop. 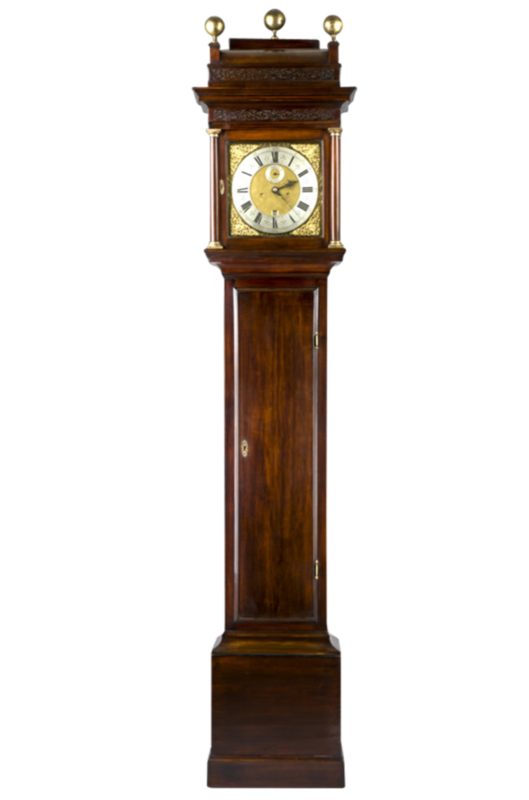 The 12 inch inch dial engraved, William Sherwood, Londini, Fecit. 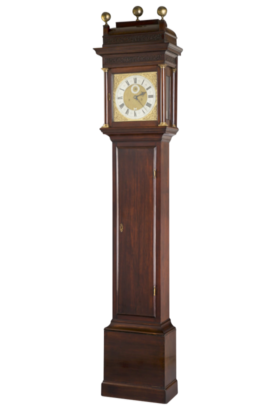 The elegant case retains its original domed top and three brass ball finials. 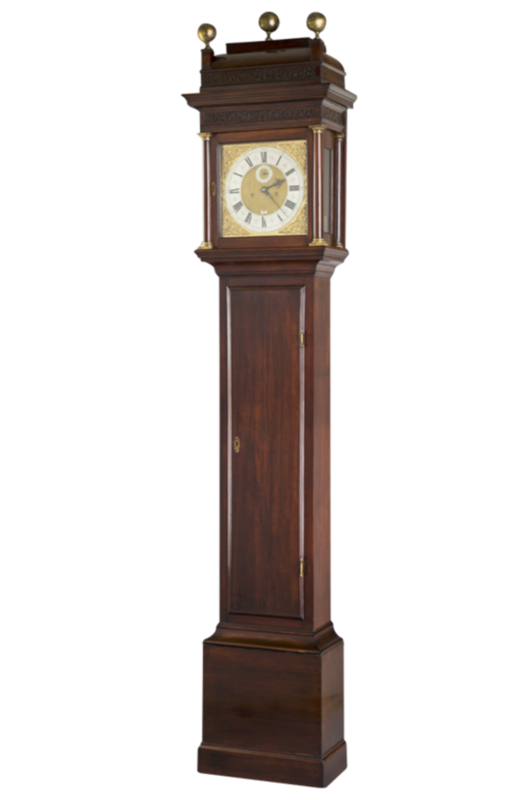 Note : For a referance to this clock, Page 114, Thomas Tompion, at the Dial and Three Crowns, by Jeremy Evans.